Tiny homes have become very popular for many reasons from low-cost and saving money to less impact on the environment. Heating and cooling a tiny home can be done in a variety of ways with perhaps the best option to use a Ductless Mini Split Heat Pump. Using a ductless mini split on a tiny home is ideal as they are cheap to buy, install, and operate. What is a Mini Split Heat Pump? A Mini split is a scaled down smaller HVAC system from the big units used on large homes. They basically work the same as a large units only smaller and cheaper to buy and run. They are perfect for a small home and are often installed on home add-ons, garages, work sheds and more. A heat pump is an air conditioner that reverse in the winter to heat. Air conditioners only pump out heat from a space while a heat pump unit has a reversing valve to pump heat in either direction. This makes them ideal for heating and cooling. The one downside to a heat pump is if the temperature drops too low during the winter it will have problems pulling heat. Most new units can heat well down to 10-15 degrees Fahrenheit but if the temperate drops much more they will start to struggle. If you live in a location that has very cold winters it will be best to have an extra heat source for very cold nights. How Much Does a Mini Split Cost? Units can be bought from $600-$3000 dollars depending on the brand and size of the unit. Installation cost will also need to be considered. There are many DIY kits for the handy type of person who has no problems using power tools with basic wiring and construction skills. Of course an HVAC company can also be called for a bid to install a unit. Bids to install a mini split can vary greatly with pricing for an install in the $1000-$3000 range. 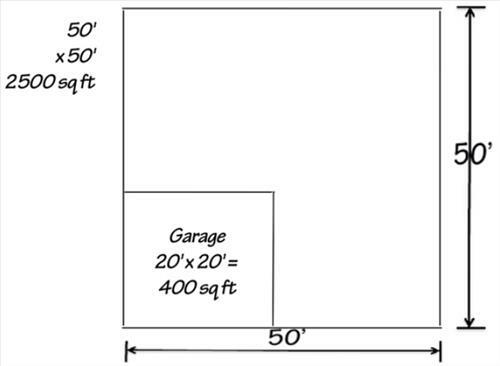 Sizing a mini split is done by the square feet a home has. Measuring length and width and multiplying the two number will give the square feet of a room. This should be done in each room including closets and all added together for total square footage. After the square footage is known, next use a mini split sizing chart for the right size for your home. The more efficient a unit is the better the SEER rating is. This means lower electricity cost to operate. There is two different SEER ratings for any heat pump, one for cooling, and one for heating. The higher the number the better. For example 19 SEER is better then 17 SEER. The lowest SEER Rating to consider for 2019 is 16 SEER for cooling and 9 SEER for Heating but higher the better. There are many units with each having a different SEER rating. Pioneer units are very popular with the DIY (Do-It-Yourself) crowd since they come with everything needed to install it except the electrical wiring. 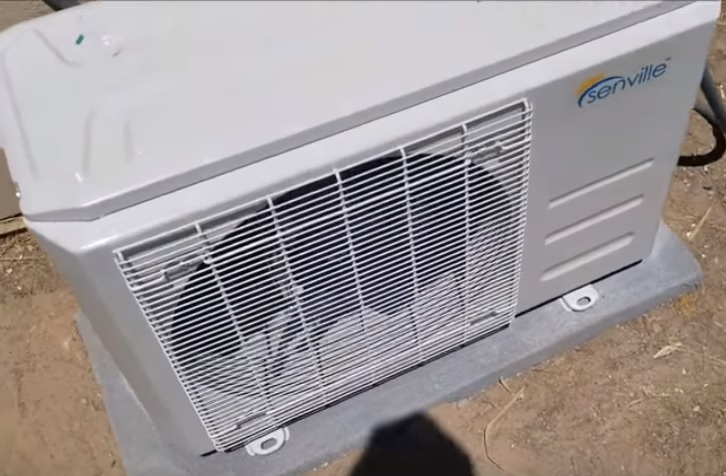 The outside condenser comes pre-charged with refrigerant that is released into the system after installing it. I installed a Pioneer 230 volt model on a small home 2 years ago and it works very well. Pioneer sizes range from 9000 BTU to 3600 BTU and have both 110 volt and 230 volt systems. Senville is another popular DIY Mini split system that comes in different sizes and voltages. Like most all DIY mini split kits it some with everything needed except the electrical wiring. The SEER rating on the new models range from 20-25 which make them very efficient units with some of the highest SEER ratings available. I installed a 220 volt 22.5 SEER unit on a small room add-on and it works very well heating and cooling. MRCOOL makes the easiest units to install since they have no need to be vacuumed down with a HVAC pump and gauges. Using a vacuum pump and gauges to vacuum down a mini split is not hard and I have made some videos of how it is done. The reason for the vacuum is the two copper lines called a line-set the runs between the inside unit and out side unit. Before the refrigerant is released the line-set needs to be in vacuum. MRCOOL comes with the lines already sealed in a vacuum that is broken when bolted onto the outside unit. It is also runs from 115 volts AC which is the standard wall outlet power everyone is familiar with. I installed a unit on a garage and it is working very nicely with no problems so far. Using a ductless mini split on a tiny home is very popular since the cost is much lower compared to a standard large packaged HVAC system. There are many DIY kits or a HVAC company can be hired to install the unit. Installing a split system is not difficult if you have some basic construction experience. Be sure to read tutorials and watch YouTube videos to see if installing one yourself is possible. If in-doubt be sure to call a professional. Have you installed a mini split in a tiny home let us know your experience below in the comments.